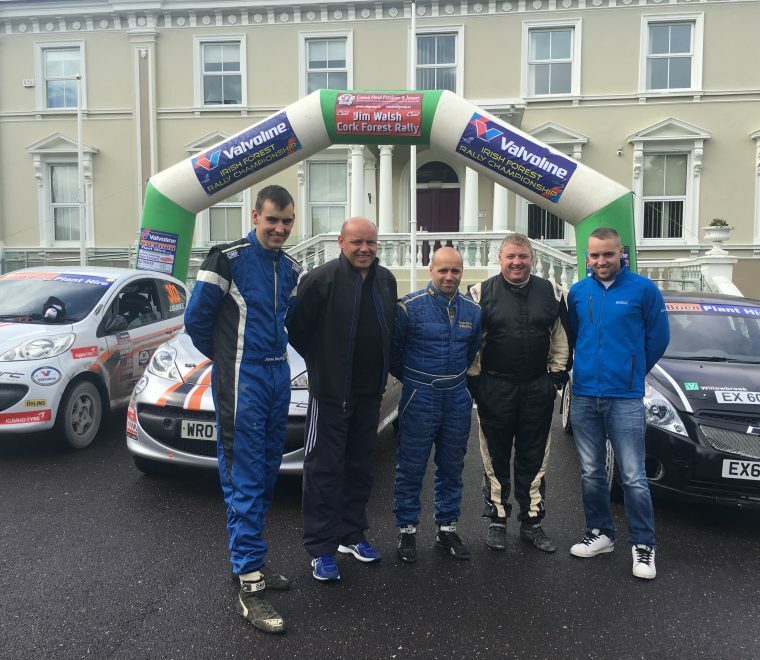 Champion Drive by Jason Murphy in the Cork Forests! The Jim Walsh Cork Forest Rally, the final round of the 2017 Michael O’Brien Plant Hire Junior 1000 Championship provided a fine finale to an excellent inaugural season on the gravel. 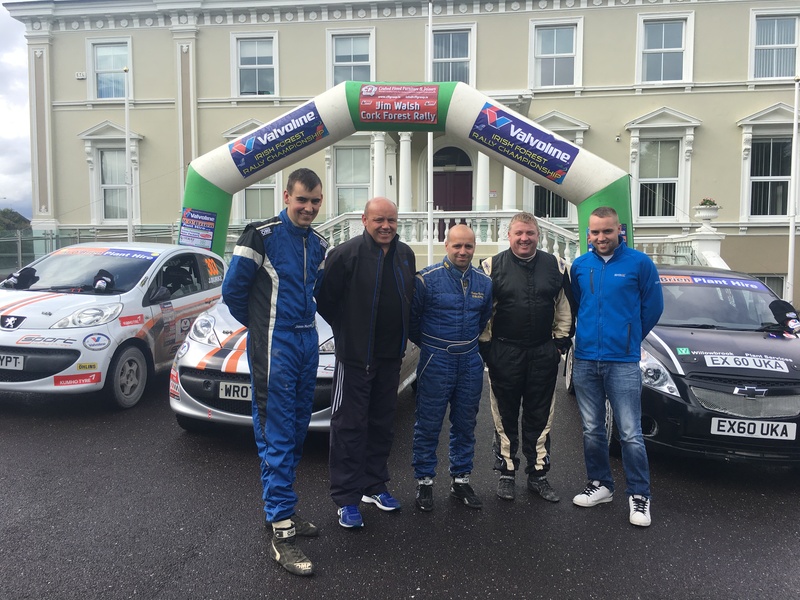 It proved to be a dream day for Jason Murphy, not only winning the Mallow based event, but clinching the 2017 title. “I am absolutely delighted to win the National J1000 championship. I can’t believe it, it means a lot to secure the title and be the first name into the history books! 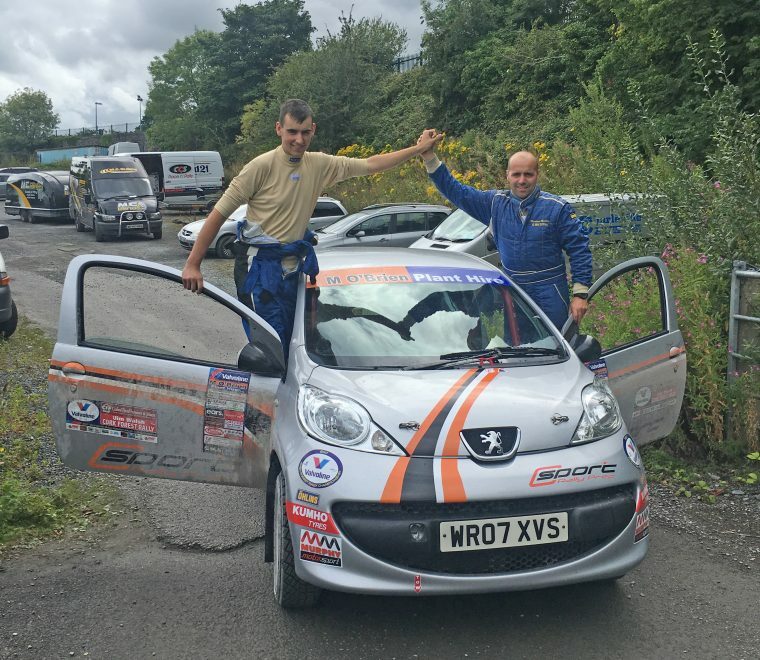 A massive thanks to Ray Fitzpatrick and the Forest Rally Committee team for putting such hard work into this J1000 series, and thanks to my uncle and navigator Matthew who undoubtedly helped me to get into this position today! 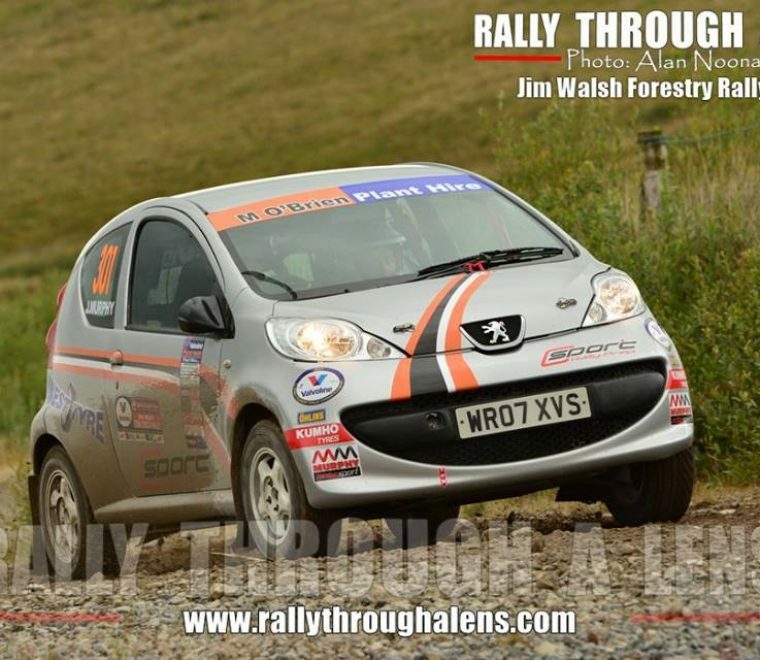 Thanks to C-Sport who had the little 1 litre Peugeot 107 in excellent shape all year and to Philip Case for excellent suspension set up and Killian Duffy from Onthepacenote for excellent notes all season. Thanks also to my sponsors Westtyre for their support, the championship sponsors, TV crews, organisers and marshals for a great years rallying, and to my family and friends for all their help” said the new 17 year old champion. 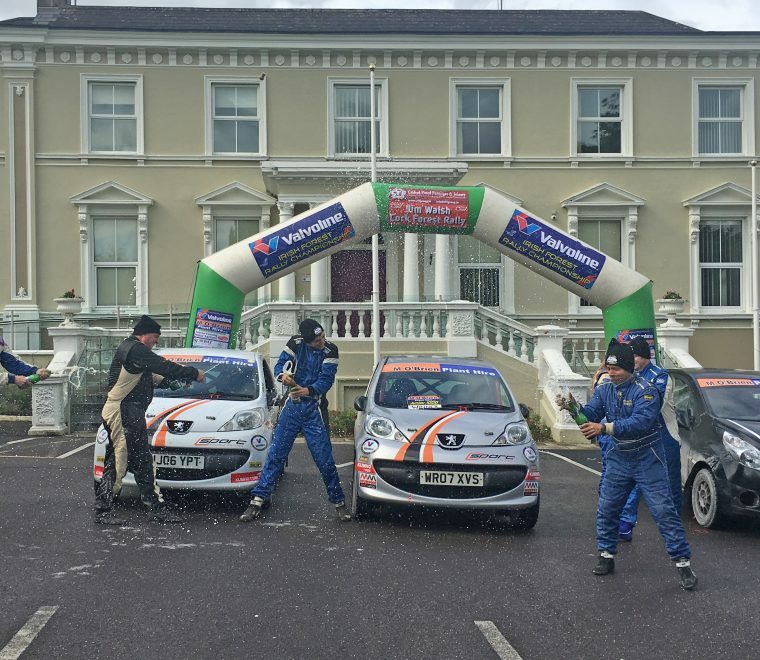 Despite a winning margin of just over one minute and twenty seven seconds, (after 65 kilometres of loose surface forest stages) over second placed Aoife Gahan, daughter of Tom Gahan, famous in rally preparation circles, it took a while for the South Mayo driver to find his rhythm, trailing the lead by 12 seconds after the first stage, a sign of nerves perhaps. 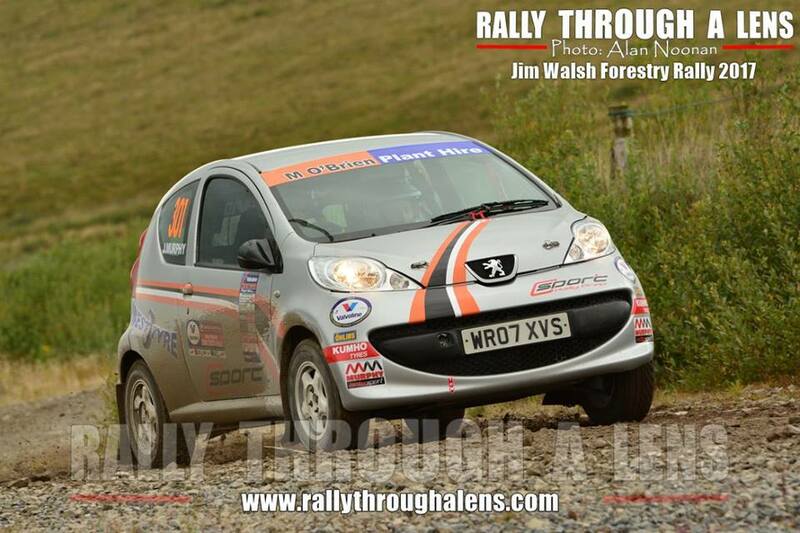 But showing his determination Jason clawed back 15 seconds on stage two to lead at the first service by just 3 seconds. Slight adjustments to the car by the Claregalway based C-Sport Rally preparation team, who look after the running of the Peugeot 107, seemed to give Jason new confidence as he increased his lead to almost a minute over the next two stages, arriving back at the last service halt of the day with a cushion and the knowledge that two more clean runs would round of his first season in the championship for 16-18 year olds with another event win. 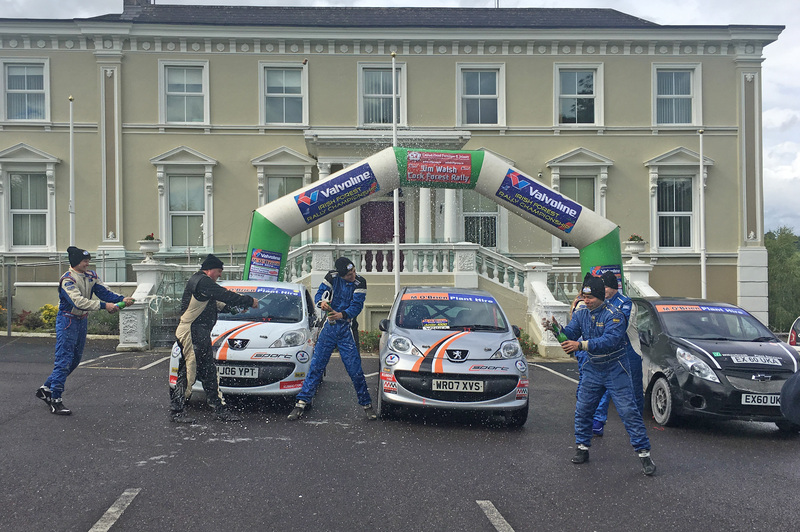 With no dramas on the last loop Jason and Matthew arrived back at the finish ramp, capping a wonderful debut season again spraying champagne and the knowledge that the fabulous championship prize of a drive in an R2 car on a 2018 Irish Forest Rally is now a reality!